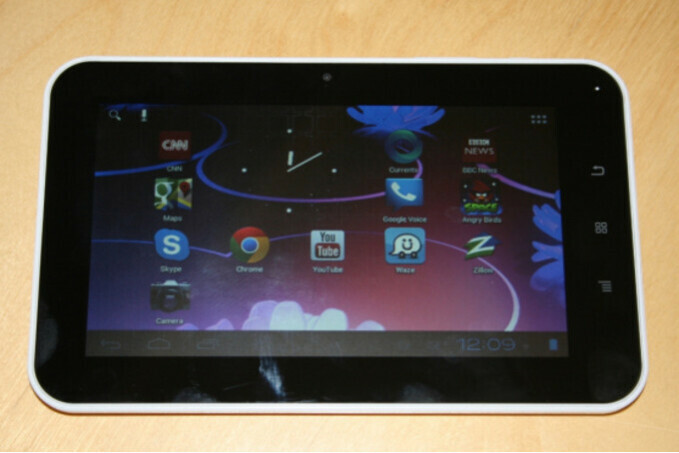 You may or may not have heard about the Aakash tablet, an ultra-affordable tablet for the developing Indian market. It’s a neat little device and it’s amazing how cheap it has gotten. While it was initially expected to cost around $40, the Aakash 2 tablet is now out for the extremely low $20, after a subsidy by the Indian Government. That’s right, we did not miss a zero, or anything, that is the price that Indian students will have to pay for the device, merely twenty dollars. Indian President Pranab Mukherjee officially launched the affordable device on Sunday. "Technology enabled learning is a very important aspect of education. This must be adapted to our specific needs and introduced expeditiously in all educational institutions across the country," he said. What you get for that is a simple 7-inch Android tablet, and that’s great. It features a 1GHz Cortex-A8 processor, 512MB of RAM, 4 gigs of internal storage. The Aakash 2 runs on Android 4.0.3, and does feature a built-in WiFi connectivity and a VGA camera up front for video chats. Battery life is not stellar at 3 hours, but we'd take this at the price. The trick with the price is that it applies to students only, while others will have to pay $80 for the device. It’s all about getting tablets in the hands of as many students as possible. The initial plan is for the first batch of 100,000 tablets to go out to students. I could use a $20 tablet..
meh.. Another rebranded Chinese tablet using the crappy Allwinner A10/13 SoC. That thing will never support Jelly Bean nor will it provide a decent level of performance. I myself have a slightly better tablet (Novo 7 Elf) with the same hardware and I wouldn't recommend anything which uses that poor SoC. The whole board including the chipset is Chinese made (the SoC was designed by some Chinese company). In whole they just rebranded one of those cheap generic tablet boards. Am referring to the though of conceiving something like this.... not the the make of the components that brought it to life. Read again and understand, it is for the Students, specially those students who cannot afford entire yearly course and notebooks. This thing can provide them way too much, including the element of excitment of using the latest Tech form. You can buy this right now on eBay for $69.95 for a 8GB model with free shipping from within the USA. Of course its not going to be something as fast as we're used here in America, but we need to remember that this is a $70 tablet. I've checked out YouTube videos on the Allwinner A13 soc running on these 7" tablets and its slow but it looks usable. All I can say is keep your mind open. Don't expect these to perform like a Nexus 7.
subsidizing always comes with catches with carriers, its 2 year contracts(think of them as 2 year prison sentences), enormously high prices for 2 years so subsidizing isn't always good. careful there! rectangle with rounded corners! you might end up paying billion. to get that you will have to sell really lot of tablets at the $ 20 price. This tablet is was and will be designed for educational purposes only. The predecessor had some letdowns which this version has been equipped with. I am a student from India.Getting one very soon!!!! !